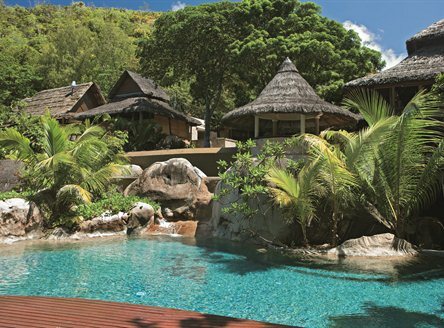 Constance Lemuria Seychelles is located just 5 minutes from Praslin airstrip in an idyllic setting on the northwest coast of the island. 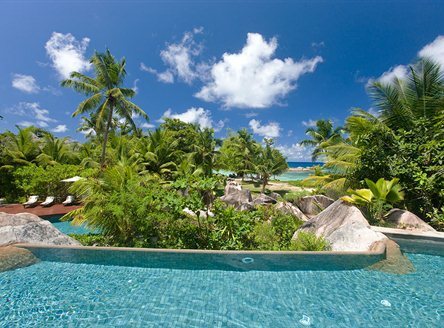 Surrounded by rare, lush vegetation, washed by warm ocean waters and sheltered from the prevailing winds, the resort is the perfect choice for a luxury Seychelles holiday. 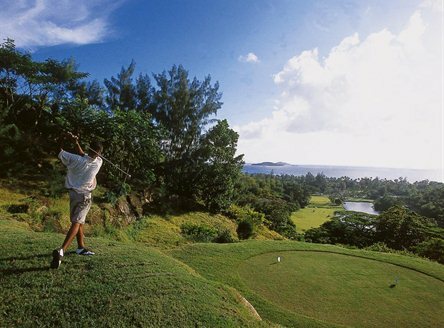 If you are looking for golf in Seychelles, the hotel has a stunning 18-hole (par 70) golf course, the only championship course in Seychelles. 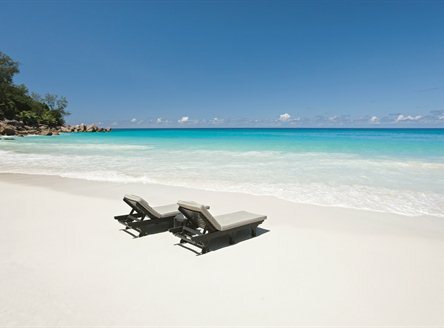 Constance Lemuria Seychelles, part of the Constance Group of hotels and a member of The Leading Hotels of the World, is positioned by three amazing beaches - Grande Anse Kerlan, Petite Anse Kerlan and Anse Georgette. 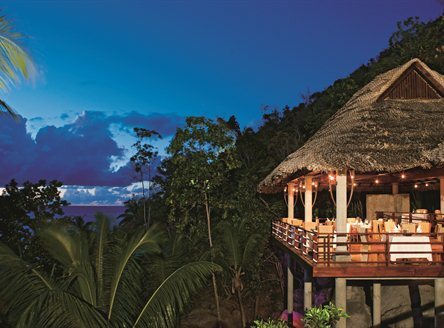 It has 96 suites, 8 Villas and 1 Presidential Suite, all positioned around 15 metres from the shore and built with natural raw materials such as wood, marble & granite to offer luxurious accommodation in a natural environment. The one and two-bedroom villas all have lounge, dining pavilion, pool deck, open-air bath, swimming pool and terrace. 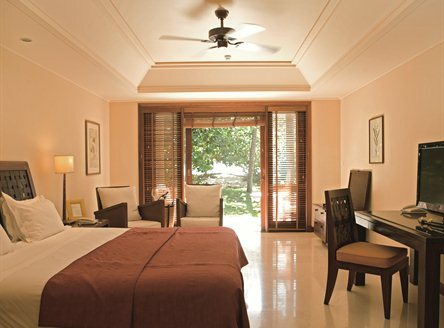 For the ultimate lavish experience the Presidential Villa has 3 bedrooms overlooking a private beach. There's an outdoor Jacuzzi and a 3-level swimming pool both providing total privacy and seclusion. The main resort building is set on a hillside overlooking the two bays and houses the main restaurant, bar, lounge and boutique. Set in natural granite, a spectacular swimming pool cascades down over three levels and is the focal point of the hotel. 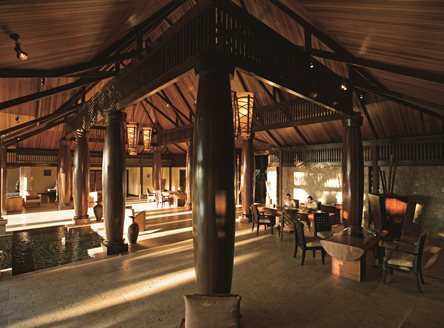 Legend Restaurant offers a refined, relaxed atmosphere for breakfast, lunch and dinner. An excellent Mediterranean restaurant, adjacent to the golf course and overlooking the 11th hole, offers alfresco dining. Alternatively, the Beach Restaurant is set on a small peninsula overlooking two beaches and offers a wide range of seafood specialties. 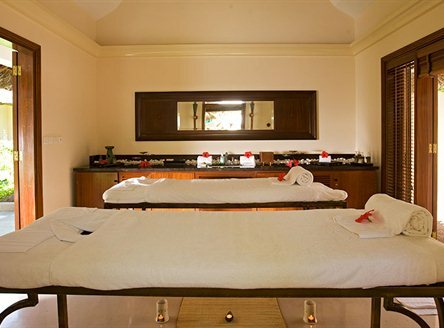 The Health and Beauty Spa at Constance Lemuria Seychelles offers the ultimate in relaxation and is an ideal venue to unwind after a stimulating round of golf or a day exploring the nearby islands. 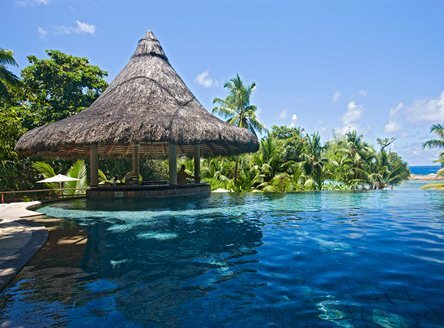 Facilities include a fully equipped gym, beauty treatment rooms, hairdresser, plunge pool, Jacuzzi, steam room and sauna. A wide range of water and land sports are available including a fabulous 18-hole golf course - the only championship course in Seychelles! Lemuria 'Turtle Club welcomes children between the ages of 4 and 11 years. There is an extensive daily activity programme, all of which are supervised. 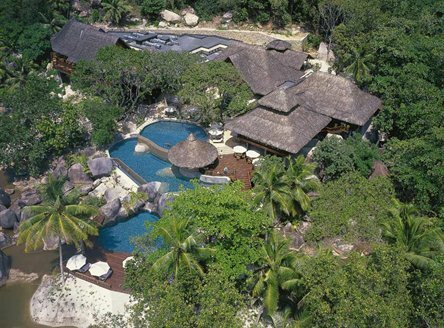 The resort includes the Seychelles only 18-hole Championship golf course, plus another restaurant at the golf clubhouse, as well as tennis courts and a Shiseido Spa. Complimentary activites like tennis, water sports are just a short tropical stroll away. 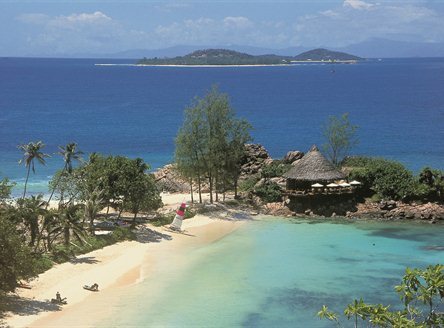 For a truly unique experience, visit Constance Lemuria between October and February for the chance to witness Hawksbill Turtles nesting and hatching on the beaches. 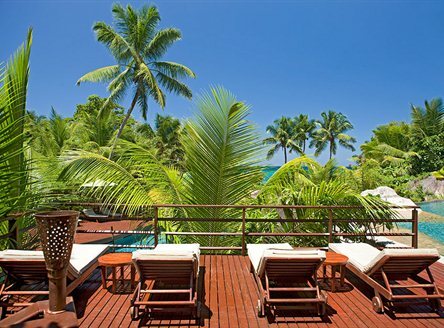 See the sister property to Lemuria, Constance Ephelia on Mahé. Inter-island flight from Mahé to Praslin and then road - approx. 25 minutes, OR; inter-island boat from Mahé to Praslin and then road - approx. 1 hour 30 minutes. 96 air-conditioned Junior and Senior suites with bath, shower, hairdryer, mini bar, safe, Mac mini entertainment system with music and movies on demand, complimentary Wifi internet access and sea facing balcony or terrace. Senior Suites are double the size of Junior Suites with a separate bedroom and living room and a whirlpool. 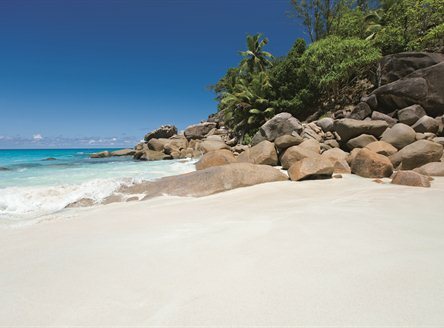 From £1,919 per person for 7 nights on Bed & Breakfast in a Junior Suite including return flights from London, return inter-island flights from Mahé to Praslin and all road transfers. Looking to book this hotel from outside of the UK? 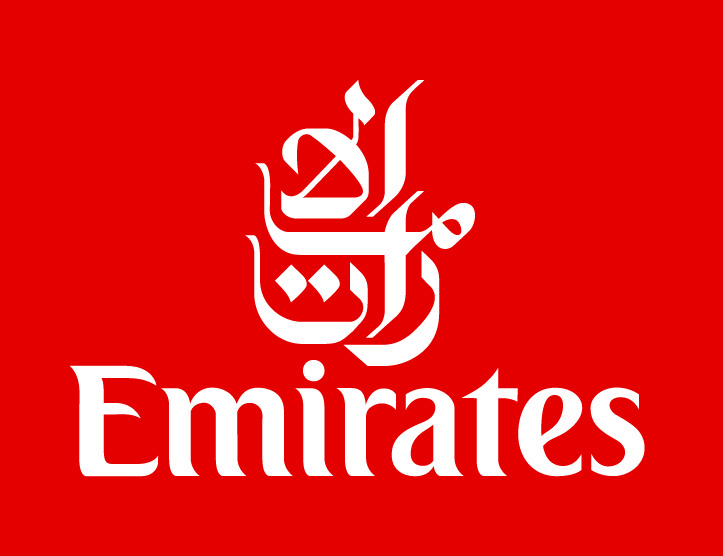 We can arrange accommodation with transfers as above from €1659 or US$1699 per person (excluding flights). Get discounted rates when booking. Contact us for more information. 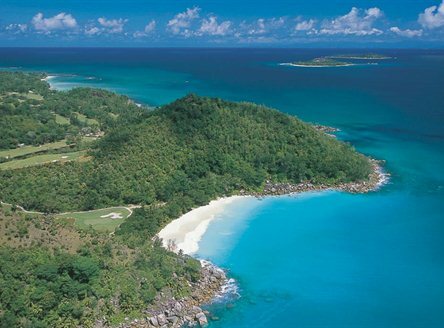 Excellent 5 Star resort on Praslin Island and the ONLY 18 hole championship golf course in Seychelles. 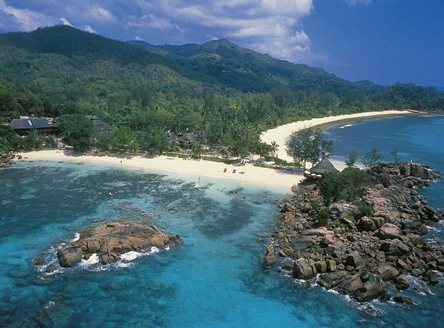 Why not combine Constance Lemuria Seychelles with a fabulous Catamaran Cruise? 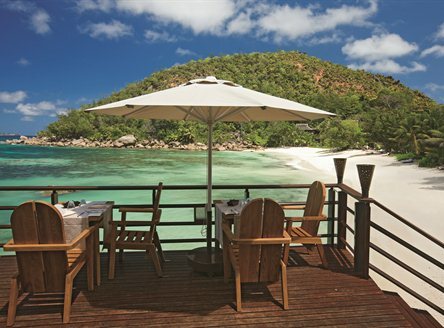 A stay at the luxury Constance Lemuria makes a great combination with one of our superb Seychelles Catamaran Cruises. We can tailor any 'Cruise & Stay' package, from luxury resorts to boutique hotels.